The former Private Hospital, located at 99 McKebery Street Coleraine is a substantial timber building which was initially built as a private residence for Octavius Palmer, an auctioneer. The Federation style timber residence is situated on a large elevated allotment on the corner of Gage and McKebery Streets, overlooking the township of Coleraine. The building is asymmetrically composed, with a hipped corrugated iron roof, projecting gables with bay windows, including a corner bay window. 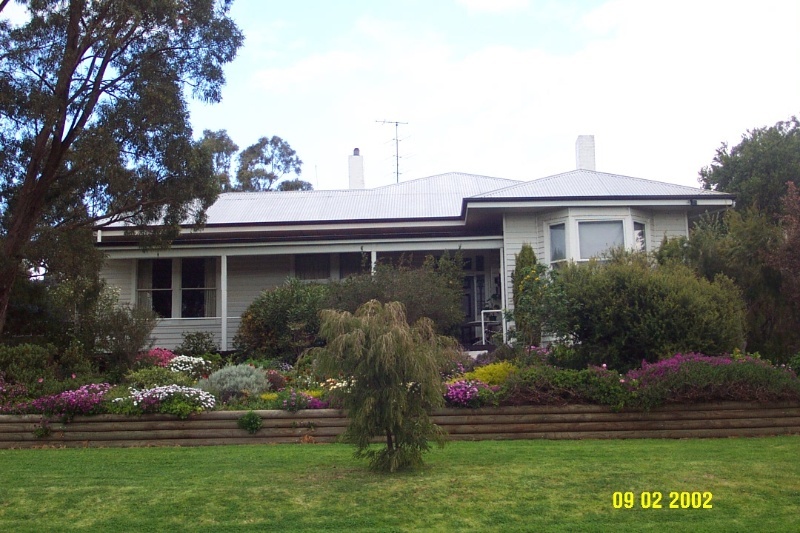 The attached timber verandah is balustraded, and has a return on the east side. The land was initially owned by the important local man, Isaac Gelson Gray, the first Policeman in Coleraine, who went on to become a 'colourful' local identity, running the Black Horse Inn and serving on a variety of committees within the township. Although the house was initially built for Octavius Palmer, within five years it had been transformed into Coleraine's second Private Hospital by a local Nurse, Beatrice Watson in 1914. The building continued to serve as a Private Hospital until the current Coleraine Bush Nursing Centre was established in 1930 when 99 McKebery Street was considered to have insufficient facilities. Since this time, the house has been used as a private residence. 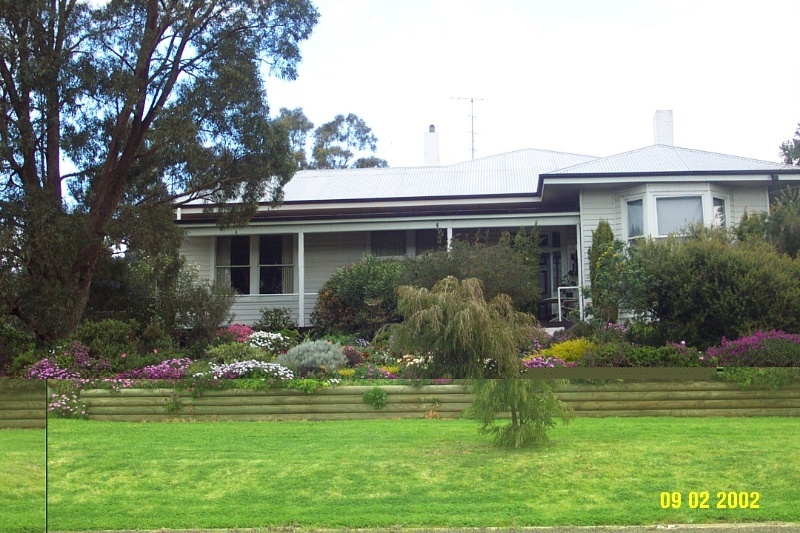 The former Private Hospital at 99 McKebery Street, Coleraine is of historical significance to the township of Coleraine and the Southern Grampians Shire. The former Private Hospital at 99 McKebery Street is of historical significance for the site's early associations with an important local figure, Isaac Gelston Gray. Gray was the towns first Constable, and in 1865, he retired to become the publican of the Black Horse Inn, a popular hotel in the nineteenth century. Gray was also an interesting community figure for his outspoken manner and presence on many of the major committees and boards of the Coleraine township. His political views appear to contrast strongly with those of other committee members at this time, being strongly socialist. The building is of further historical interest as for its use as a private hospital for fifteen years in the first half of the twentieth century, as it represents a way of service delivery that has been lost, and demonstrates how medical service provision has changed. 99 McKebery Street Coleraine is a federation style timber residence situated on a large elevated corner allotment overlooking the town. The building is asymmetrically composed, with a hipped corrugated iron roof, projecting gables with bay windows, including a corner bay window. The attached timber verandah is balustraded, and has a return on the east side. Externally, good degree of integrity, interiors not inspected. Isaac Gelston Gray, first owner of the land. Beatrice Watson, a nurse who started the Private Hospital in 1914.